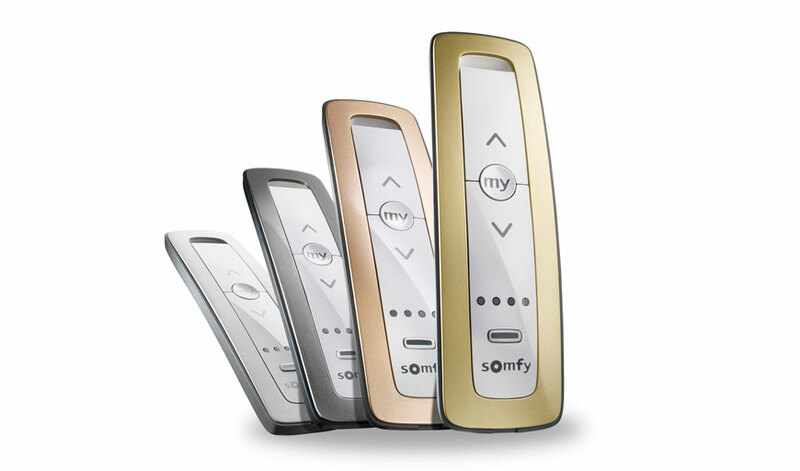 In conjunction with the broad range of Somfy sensors, you can create energy efficient, convenient environments to improve the well-being of occupants in all living spaces. Control your blinds, curtains, awnings, screens, roller shutters and RTS enabled lighting right from your smart phone, even when you’re away from home. Allows control of up to 30 products or 30 groups of products, with the ability to set products on a timer and create up to 4 scenarios! Unique design available in a stylish range of colours including pure, silver, gold and rose gold. Create and control multiple zones within the home to suit any lifestyle. Compatible with entire range of RTS products. Compatible with entire range of RTS products. 100% wireless wind sensor for external folding arm awnings. Automatically retracts a folding arm awning based on wind vibrations. Will also raise external screens in windy conditions to prevent fabric from tearing. Automatically controls your RTS motorised products based on current weather conditions. Energy consumption is reduced by up to 40%, automatically protecting your awning or exterior screen when the sun is detected, or the sun’s intensity increases. 100% wireless sun sensor for awnings, screens, external venetian blinds and roller shutters. Automatically lowers your blinds or retracts your awning based on a preset amount of sunlight. Allows you to benefit from comfort and energy savings, protecting the inside of your house from harmful UV rays. Automatically adjusts the position of an external blind or roller shutter based on a preset amount of sunlight. 100% wireless indoor sun and temperature sensor. Automatically adjusts the position of an internal blind, roller shutter or venetian based on a preset amount of sunlight and inside temperature.